Metadata associated with the couchdb plugin for collectd can be found here. The relevant code for the plugin can be found here. This is the SignalFx CouchDB plugin. Follow these instructions to install the CouchDB plugin for collectd. COUCHDB CLUSTER: Provides a high-level overview of metrics for a single CouchDB cluster. COUCHDB NODE: Provides metrics from a single CouchDB node. 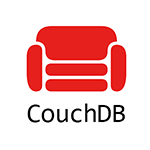 COUCHDB NODES: Provides metrics from CouchDB nodes on a particular host. Number of Nodes: Total number of active nodes in the cluster. Number of Requests: Total number of requests handled per second by all the nodes in the cluster. Request Processing Time: Average request processing time of all the nodes in the cluster. Database Reads and Writes: Total number of database reads and writes performed by all the nodes in the cluster. Active Data Usage: Active data usage percentage. As the CouchDB does only soft deletes, all the deleted records are still present in the database. This chart will indicate the percentage of active data in the database. We recommend you to compact database when the value is below 50%. Active Docs vs Deleted Docs: Total number of active and deleted docs present in the cluster. Number of Requests: Total number of requests handled by the node per second. Request Processing Time: Average request processing time of the node. Database Reads and Writes: Total number of database reads and writes performed by the node. Auth Cache Hits vs Misses: Stack chart of auth cache hits and misses. Shard Cache Hits vs Misses: Stack chart of shard cache hits and misses. COUCHDB NODES: Provides metrics from nodes on a particular host. Number of Nodes: Total number of CouchDB nodes running on the host. Top Requests: List of top nodes handling highest requests per second on the host. Top Request Processing Time: List of nodes having highest request processing time on the host. Database Reads: Percentile distribution of database reads of all the nodes present in the host. Database Writes: Percentile distribution of database writes of all the nodes present in the host. By default, basic metrics are provided. See usage for details.